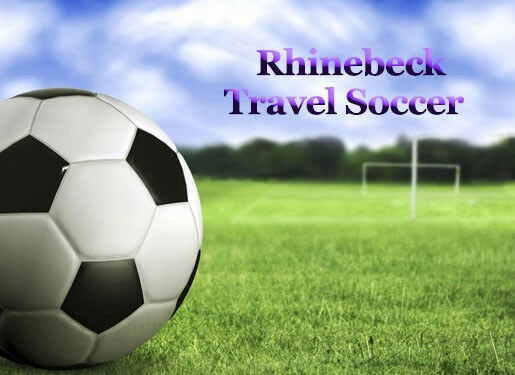 Updated Thursday March 22, 2018 by Rhinebeck Soccer League. Do not signup for a travel team unless you have the permission of the coach. You then need to know the division (BU10, BU12, etc.) and the team name (Raptors, Breakers, United etc.) If you are not sure, contact your coach. This year the registration process is online only and will accept credit card payments only. If you need to make other arrangements for registration and payment please contact the registrar or your coach. Near the end of your online registration process, you will print out a copy of the "Registration Agreement." This needs to be signed and given to your coach. You also need to upload a photo of your child to the sportssignup.com website. It needs to be a fairly recent head shot with the child facing the camera. If your child is playing travel soccer for the first time you also need to send a copy of the birth certificate. You can give this to your coach or to the registrar: registrar.rsl@gmail.com or fax to 206-333-1925. $20.00 for the third child. Parents who serve as coaches, assistant coaches, board members, committee chairs and referees (level 8 and above) also receive discounts for their children. - 100% discount for the first child if parent is head coach of a team. - 50% discount for first child if parent is an assistant coach, board member, committee chair, or registered level 8 or better USYSA referee or assignor. Discounts for each Travel Team are limited to one Coach and one Assistant Coach. However, the computer program cannot process these discounts and we are no longer accepting checks. If you want the discount for your child let the registrar complete the registration process for your child or children in the computer system. You may start it and inform the registrar that you are ready to check out via email but leave the shopping cart with the registrations in it and the registrar can complete the process for you. If you register yourself online as there is no fee for coaches or assistant coaches registration, you may not get the discount if you try to register your child as well. The Rhinebeck Soccer League depends on parent volunteers to keep things running smoothly and safely. Please consider serving as a Team Manager or Team Parent. Ask your coach for more information on how you can help the league. Please note there is no discount for these positions just our undying appreciation and gratitude. Also note that all parent volunteers need to complete a backgound check and upload a photo into the sportssignup website. Please discuss this with the coach or other Rhinebeck Soccer Board member before signing up as a volunteer.